Ladies & Gentlemen... start your engines!! May in Indy is the best time of year! 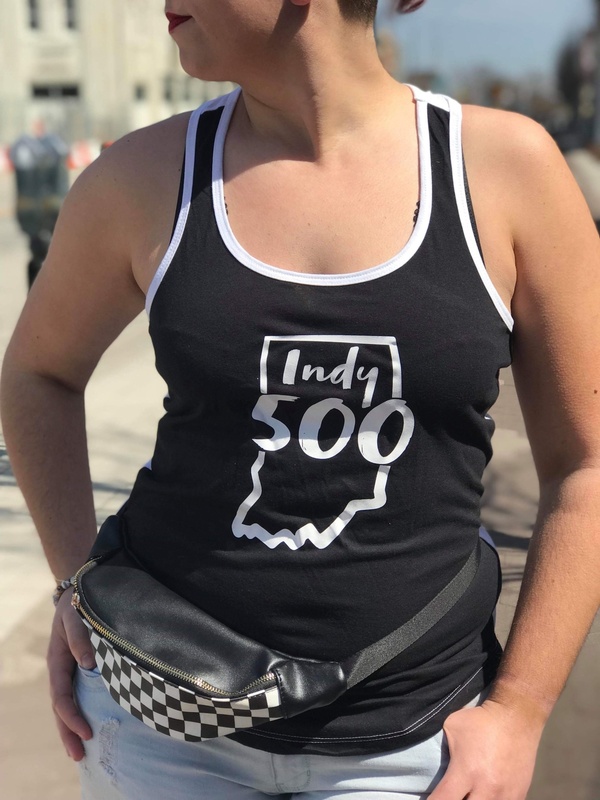 Whether you are going to the race or just supporting from afar this fitted-womens-sizing black and white tank is a must have! 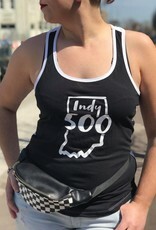 Front is black with the Indy 500 design and the back of the tank is plain white. Model is a size 10 wearing a XL.